A recent study has discovered that the Limusaurus inextricabilis dinosaur lost its teeth while growing up without getting new ones as an adult. 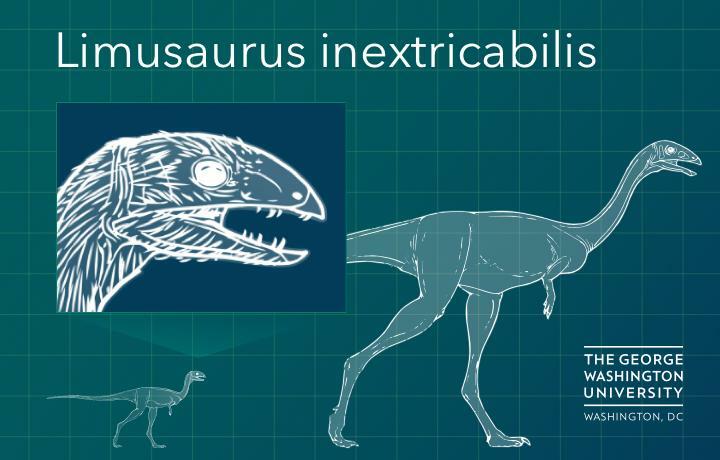 The evolution of the Limusaurus inextricabilis could explain how some dinosaurs changed their carnivore diets and adapted to toothless mouths, eventually evolving into birds. The findings were published Friday in Current Biology, where scientists explain the growing process of the Limusaurus inextricabilis. The research involved 19 Limusaurus fossils ranged in age from baby to adult. The skeletons were found in the Xinjiang Province of China. “As Limusaurus grew from adolescent to adult, it lost its teeth and did not grow a new set,” the study reads. Image credit: EurekAlert! The Limusaurus inextricabilis is part of the theropod group of dinosaurs, which are the evolutionary ancestors of birds. The Limusaurus was a slim, small bipedal dinosaur that measured as much as 1.5 meters long from the tip of its snout to the tip of its tail. They weighed about 23.5 kilograms and lived 160 million years ago. The species was discovered in 2009. The study found that baby Limusaurus had small, sharp teeth compared to adult skeletons that were consistently toothless. The 19 specimens analyzed in the research were extracted from the same site where scientists discovered the first fossil. They found out that all the fossils presented the same characteristics. The skeletons were divided into six different groups, including hatchlings and juveniles. The study indicated that baby Limusaurus could have been carnivores or omnivores because they had dozens of teeth while the adults were herbivores due to their lack of teeth. Older Limusaurus began to lose their teeth from both the front and the back of their jaws. Losing teeth was common among adult dinosaurs, but not losing all of them. Scientists also found chemical makeup that supports the theory of a change in diet between babies and adults. The fossils shed light on how dinosaurs lost their teeth to become birds, but more research and samples are needed to make the theory a fact. The fossils’ analysis showed that Limusaurus experienced at least 77 other changes while growing up. The little dinosaurs presented changes in the proportions of their skull and the shape of their upper jawbone. The latter began to curve pronouncedly downward and presumably developed on its exterior a beak over time. Thomas Holtz, Jr., a vertebrate paleontologist at the University of Maryland in College Park, stated that there might be more dinosaurs similar to the Limusaurus, which could help to explain how certain dinosaurs evolved to be birds. He added that other Limusaurus’ relatives that lived millions of year before or later than the species are known for their bones and not for their skulls because they are missing. Holtz believes that those skulls could show similar anatomical changes to those of the Limusaurus. He added that there might be a whole lineage of those dinosaurs waiting to be discovered.